Fabulous ocean side neighborhood offering privacy and tranquility! This extraordinary, light-filled 4BR, 5BA house has a terrific layout which lends itself to gracious living both indoors and out. 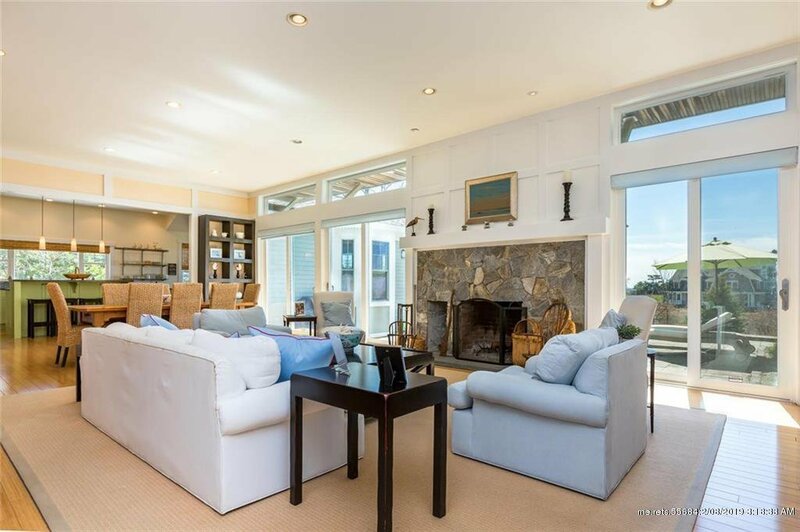 Spacious rooms, soaring ceilings and expansive windows offer views of tranquil fields and ocean. Large gathering room with stone fireplace for elegant entertaining. Well-appointed kitchen with center island, concrete counters and pantry. Inviting and comfortable family room, warm and beautiful sun room. First floor master bedroom suite with private den and patio. Plentiful outdoor living spaces, including large, central patio with stone fireplace and 2nd floor balconies overlooking fields and ocean. Deeded right of way to ocean frontage. Close to beaches, shopping and Downtown Portland. This property has it all! Listing courtesy of Town & Shore Associates LLC. Selling Office: Keller Williams Realty.